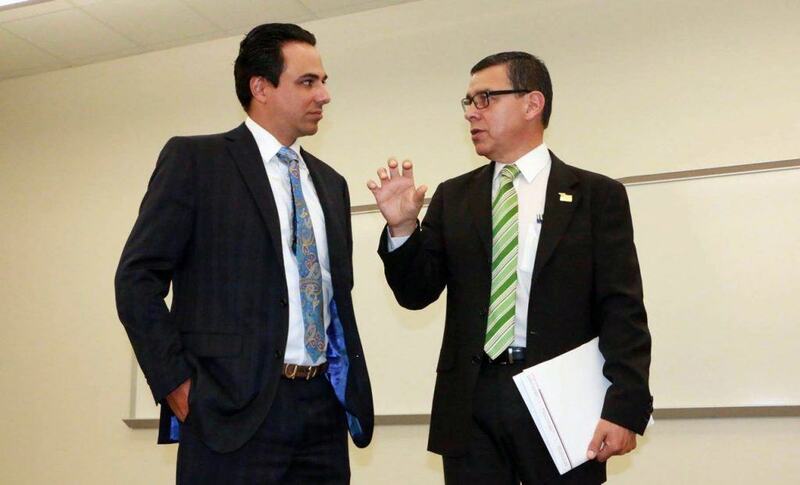 Featured, from left: Rep. Terry Canales, D-Edinburg, and Leonel Vela, M.D., Senior Associate Dean for Student Affairs at the University of Texas Rio Grande Valley School of Medicine, on Wednesday, April 26, 2016, during a tour of the $54 million Medical Education Building in Edinburg. A major boost to the area economy in underway as a result of an estimated $172.4 million in direct expenditures from the ongoing construction of the University of Texas Rio Grande Valley School of Medicine in Edinburg and the planned establishment of the Doctors Hospital at Renaissance Medical Research Facility in neighboring McAllen, Rep. Terry Canales, D-Edinburg, has announced. 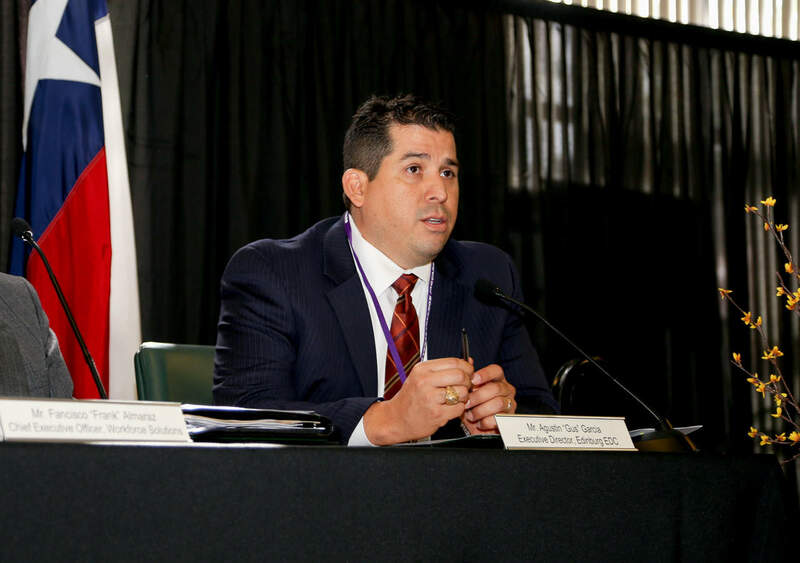 “The total economic impact of the UTRGV medical school in the Rio Grande Valley is significant, according to an analysis by the university provided at my request, and this is just the beginning,” said the House District 40 lawmaker. Through the multiplier effect, the $172.4 million in direct spending creates 2,578 jobs, generates $75.1 million in labor income and adds $100.6 million in value added, for a total economic impact of $261.8 million, noted an economic analysis prepared by the university. Spending associated with the UTRGV medical school generates $7.3 million in state and local tax and $12.9 million in federal tax. 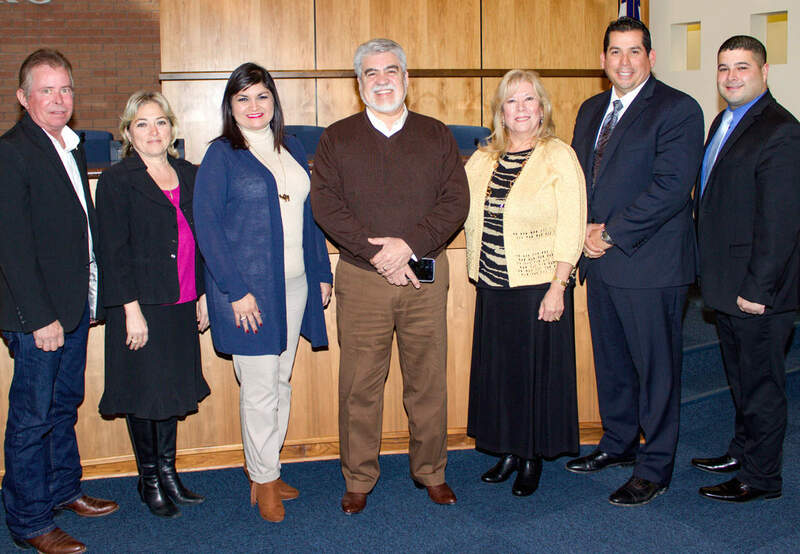 Featured, from left, promoting the “Salute to Small Business” luncheon set for Thursday, January 21, 2016 at the Edinburg Conference Center at Renaissance and which will feature Texas Secretary of State Carlos Cascos, are, from left: Marty Martin of Rio Valley Realty, who serves as Chairman of the Board for the Edinburg Chamber of Commerce; Letty González , President, Edinburg Chamber of Commerce; Nelda Ramírez, Assistant Executive Director, Edinburg Chamber of Commerce; Mayor Richard García; Elva Jackson Garza of Edwards Abstract & Title Company, who serves as Vice Chair of Public Affairs, Edinburg Chamber of Commerce; Agustín García, Jr., Executive Director, Edinburg Economic Development Corporation; and Jacob De León of Memorial Funeral Home, who serves as Vice Chair of Membership, Edinburg Chamber of Commerce. 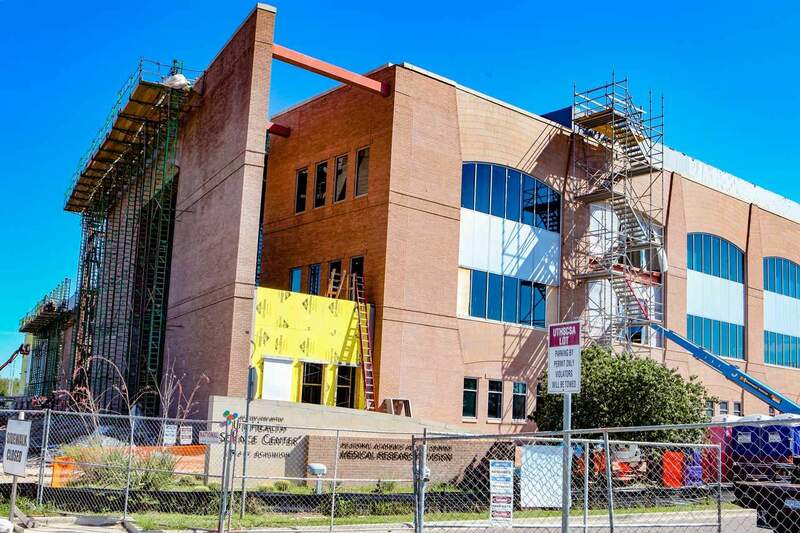 Featured: In this image taken on Tuesday, October 27, 2015, construction continues on schedule of the $54 million, 88,000 square foot University of Texas Rio Grande Valley School of Medicine Medical Academic Building in Edinburg. 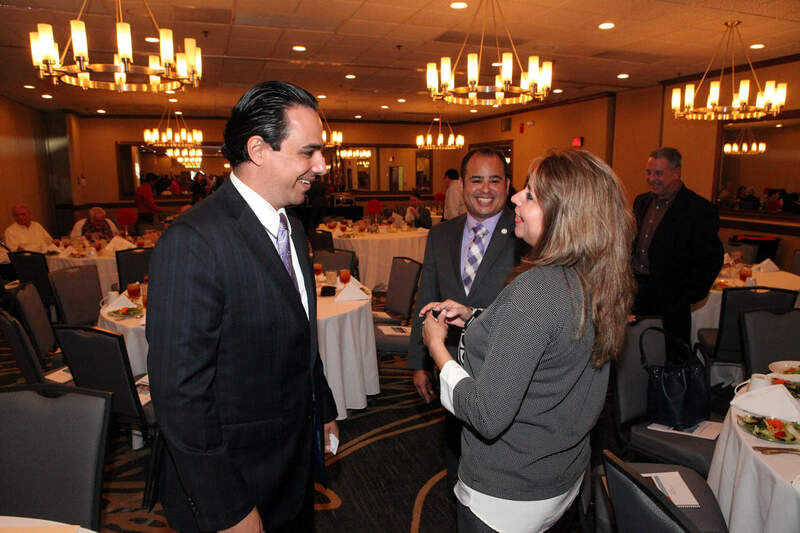 Featured, from left: Rep. Terry Canales, D-Edinburg, greets constituents at the McAllen Chamber of Commerce’s 84th Legislative Session Wrap-Up Luncheon, held on Thursday, July 9, 2015, at the DoubleTree Hilton Hotel in McAllen as Alex Ri?os, the District Director for Canales’ legislative office in Edinburg, looks on.